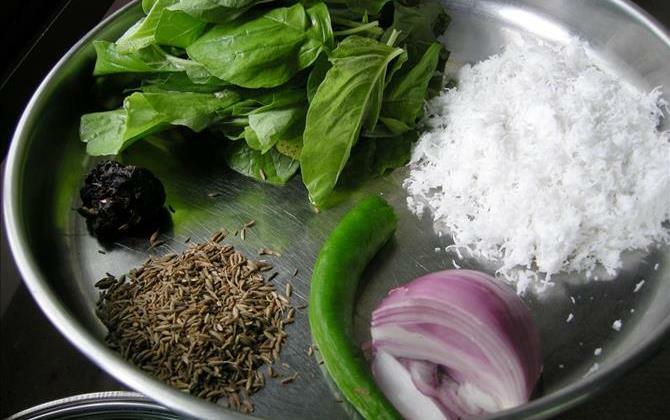 spinach chutney or palakura pachadi can be made of any variety of spinach including palak. 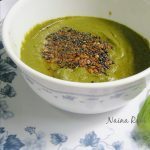 This palak chutney recipe is shared with me by Naina Ravi, a reader of this blog. During a chit chat on facebook, I got hooked to her idea of spinach chutney when she said that she made paneer paratha and palak chutney to accompany it. When asked she expressed her wish to share the recipe with us and hence this post on the blog. I often make palak paratha, pappu palakura and palak chutney was very new to me. After a few days, I received these awesome pictures from her along with the recipe. Naina Ravi is a homemaker and a mom to 11 year old daughter. 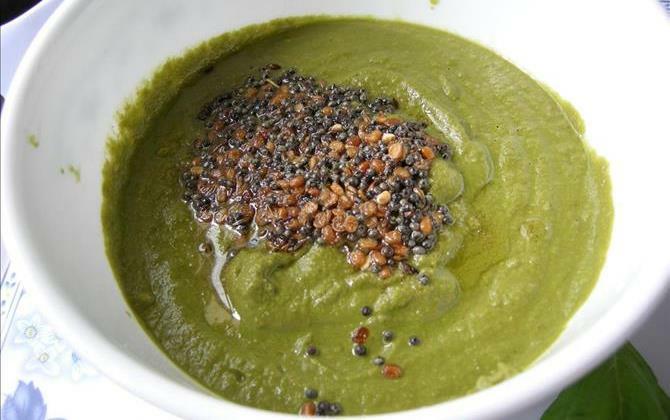 She is happy to share with us all an appealing and nourishing recipe, spinach chutney. Spinach can be used in salads, pasta, soup, chutnies and many more. It has vital nutrients like heart healthy folate, cell protecting vitamin E and Lutein, which may help to reverse the symptoms of age-related macular degeneration. 1. Prevents wrinkles, sagging skin, and age spots. 2. Improves calcium and magnesium absorption and supports the development of strong bones and teeth. 3. Helps to prevent osteoporosis and breast, colon, and other cancers. So if you are not in the habit of using coconut, begin to use in recipes like this. spinach chutney tastes great with palak or palakura, but can be prepared with any other variety of spinach too. 1. get the ingredients together. 2. Saute all the ingredients except coconut lightly or till the raw smell disappears. 3. When cooled, blend them together with coconut and salt.Add a tsp of oil to the same pan, and temper with tempering ingredients. 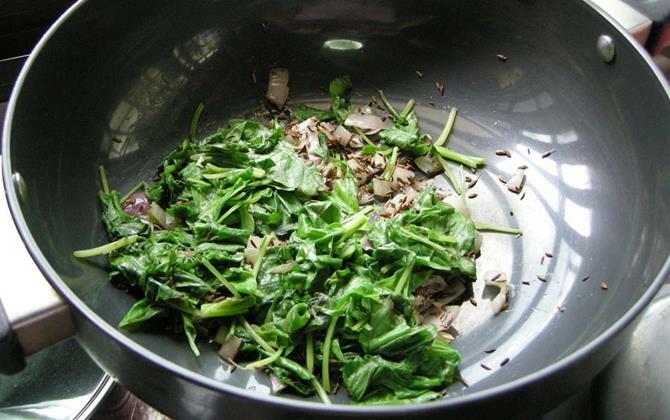 Sauté cumin seeds, onion and spinach leaves slightly. You may relish this vibrant chutney with idlis, dosas or rotis. It goes well with rice too. Enjoy! Isn’t this Lovely friends? 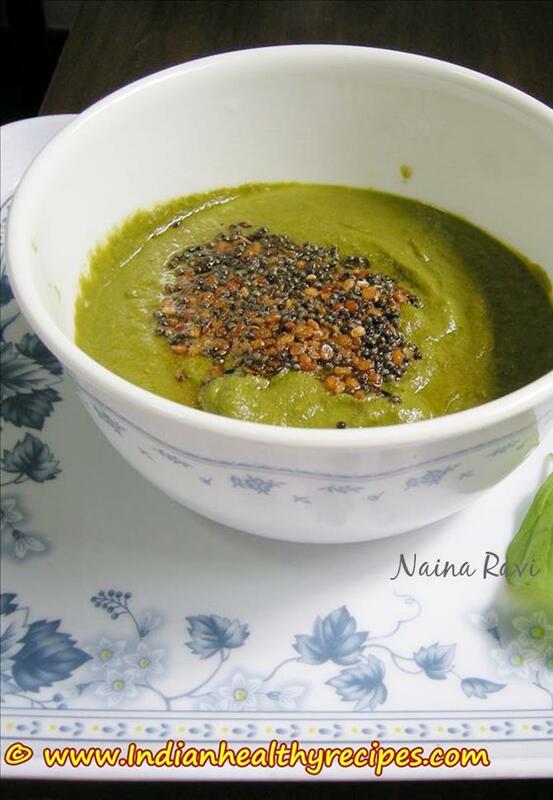 Thanks to Naina for sharing such a good healthy recipe. Awesome recipe, I made it for my son’s lunch box today. Paneer parantha and spinach chutney. Thank you so much for sharing this recipe ? So glad to know you made them for the kid’s box. THE TASTE IS YUMMY, MARVELLOUS, WOW WOW WOW…………. VERY HEALTHY ONE. I served this to my family without telling them, that the chutney is made from palak. I Just informed them that this is a new chutney recipe.They all ate & appreciated it .They were not able to guess it, they thought that it was made from kothmir. I served this with dosa, this tasted very great. Shalini iam very glad you tried this. Thanks for sharing your thoughts. will try this soon with dosa. Have a wonderful weekend. Delicious healthy chutney looks yummy.